N ot to be confused with “contrails”, chemtrails are just a tiny drop in the conspiracy surrounding them. 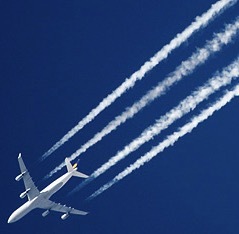 Contrails, short for condensation trail, are trails of condensation made by a high flying aircraft’s jets, and dissipate relatively quickly, while chemtrails stay in the sky for hours at a time, and the contents is unknown. Believers of this conspiracy have numerous theories pertaining to the purpose of these trails. A few of these include psychological manipulation, weather modification, and biological or chemical warfare. This theory was actually aggravated by the American government. In 1996, the United States Air Force (USAF) published a report titled “Weather as a Force Multiplier: Owning the Weather in 2025” about their experimentations with weather modification and manipulation; the conspiracies began to circulate shortly after that. Of course, the USAF made a public statement claiming that the report was speaking in a fictitious manner, and that the conspiracy was a hoax. Obviously people didn’t believe that, and as more and more chem trail began appearing, more and more people speculated about whether or not they were the governments attempt at weather manipulation. Or maybe something more sinister. 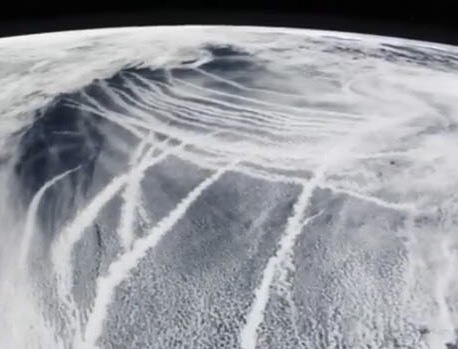 Some people believe that chemtrails are actually meant to make American citizens sick, or more likely to become sick. The biggest source of income for the United States is the pharmaceutical industry, making this theory one of the easiest to get behind in my opinion, especially when you take into consideration the fact that there has been a 22% increase in prescription medication from the years 2001-2010, with one in five adults taking at least one psychotropic medication as of 2012. The United States government has also already proven that money means more to them than actually healing their patients. Think of chemotherapy for cancer patients, NRTI’s for people who are HIV/AIDS positive, and the increase of children under the age of 6 being prescribed medication for ADHD and ADD. Our physical and mental health may not be the only thing they’re targeting though; some believers think that the government is experimenting with mind control, similar to MKUltra in the 70’s. The link above redirects to the official CIA page concerning project MKUltra.So the idea isn’t farfetched. I guess we’ll just have to wait and find out if the government gets busted again or not. Posted in Science and Metaphysics by Sage Ruiz with no comments yet. July 4th can be a beautiful holiday to celebrate for some, but for those suffering from PTSD, especially war related PTSD, can be painful and miserable. Now, before I continue, I haven’t ever been in the military, let alone a war, nor do I have PTSD. So I’m sitting in the back of my mother’s truck with her, watching the fireworks go off all around us. As a howler went off, I remembered that veterans and sufferers of PTSD may not be able to enjoy the show to due their traumas. They could be having flashbacks, or lingering on the verge of breaking down in their own homes. The thought of this made me sad honestly, and for whatever reason, I think I had a flashback. A war related flashback. I’m not sure how to transition into this smoothly, so I’m just going to go for it: in my flashback, I was in the person’s head. I know it wasn’t my memory, because I’ve never been anywhere near a war ground, and I was associating names with faces that I’d never seen before, calling out to injured and dying soldiers, some of whom were my friends. Or the friends of whoever’s flashback that was. It was so real though; bullets were flying past me, I could feel the humidity in the air, hear the screams of people around me, dying. Is my brain playing tricks on me, or did some part of my actually experience that memory? At this stage of my existence, in this time and place, I have reached a great sense of calm. No longer am I constantly pushing to have metaphysical experiences. They occur spontaneously and so frequently that if I were to journal every time one happened, I would be writing all day. Everyday, streaming into my consciousness is a multitude of inputs from various areas of The Greater Reality. These inputs are there at all times. As I tune into any stream of input(s), the others fade into the background as the one I focus on becomes clearer. I spend my days tuning in and out of the inputs. One of these inputs includes tuning into The Collective Unconscious. A world where thoughts are things. I call it IOM, Internet of Minds. Where the thoughts of all minds, both human and non-human take shape. The Mist in this place is thought responsive and is molded by thoughts and making them visible. It is literally The Dream World. The same place we experience when dreaming. 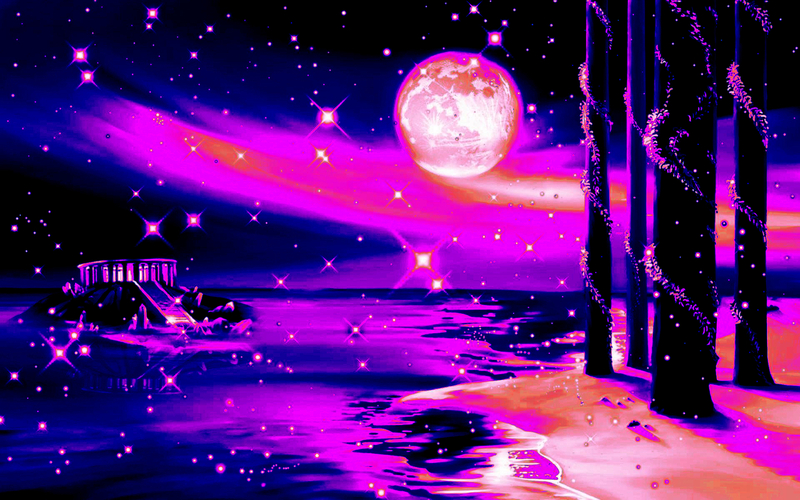 This place is accessible by all beings in all dimensions (some areas within The Greater Reality). It is also the way that beings communicate telepathically. 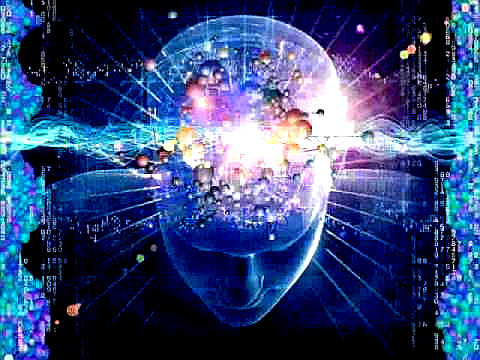 Telepathy can be accessed via The Theta Brainwaves and does not require leaving your physical body which is achieved via The Delta Brainwaves. Another input is from The Time Stream. I usually use this stream to see what is heading this way from the future. Sometimes, I will divulge to my daughter Sage what is coming in the next few days and to be on the lookout for the events. Such as what is going to happen in her circle of friends and acquaintances. These premonitions always come to pass. Her abilities are on the rise also by the way. On The out of The Body Front, something always happens when I lay my physical body down for sleep. I usually travel via The Classic Out of Body Experience. I travel freely through many dimensions. 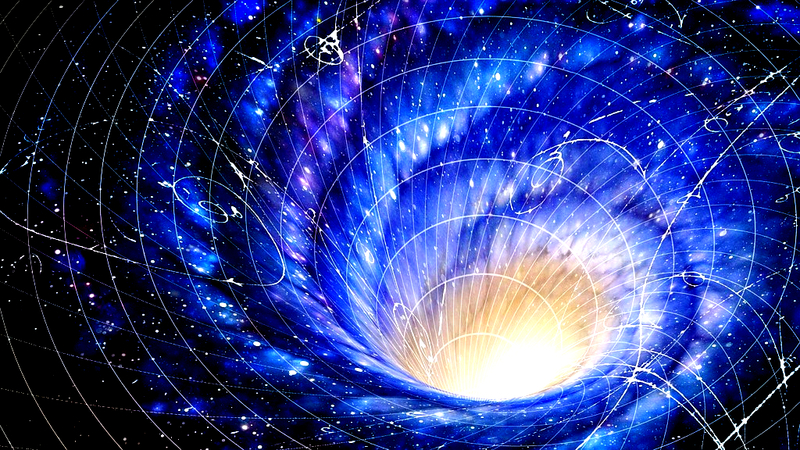 The Physical, Etheric, Astral, Mental and into Non Time Space. One of the greatest pleasures I get is when I “Hover” right at The Border between Time-Space and Non-Time-Space. Bubbles of a multitude of sized slosh back and forth. The Quantum Foam. As these bubbles enter Time-Space, they open up. Let me try to explain what I mean by “Open Up”. It is like a circle that is cut in half and one of the sides swiveled out to create a sine wave. A sine wave represents Time-Space or a cycle. A Cycle is actually a circle. One Reality/Probability. But because there are an infinite amount of Time Lines and Probabilities, There is also an infinite amount of circles each in a different direction but occupying the same space. Hence, creating A Sphere or Bubble. 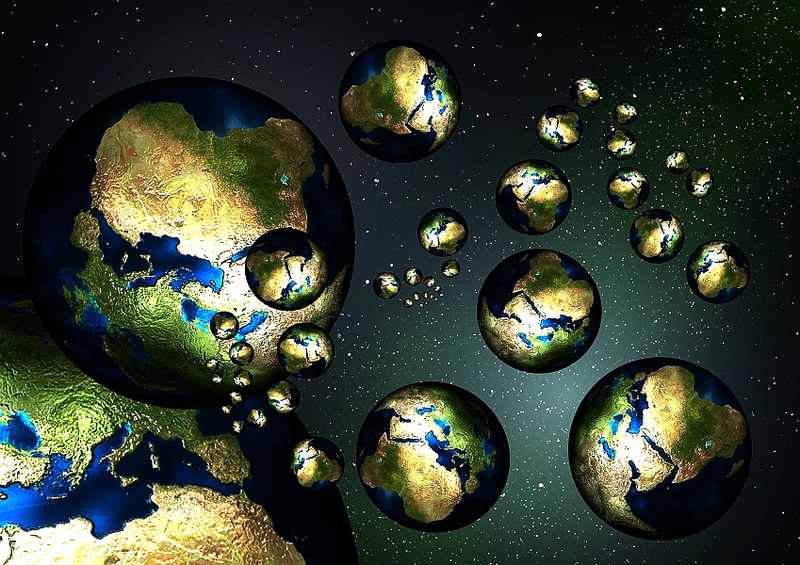 Instead of String Theory, it should be called Bubble Theory. When these float back into Non-Time-Space they close once again to display a perfect circle. These bubbles are what compose the quantum foam at The Edge of Time-Space. These are my observations from The Edge. These are just a few of the input streams of which Physical Reality is one. Telepathy, Telekinesis, Premonitions, Clairvoyance and Out of Body Experiences all happen now frequently. Posted in Adventures, Science and Metaphysics by Louis Ruiz with no comments yet. Check the time real quick. Now make a note of it, we’ll get back to that later. Time, like many other things, is a form of measurement, aka distance divided by speed. But time is based off of cycles. A day is 1 full rotation on the Earth’s axis, or 24 hours. A year is 1 full orbit around the sun, or 365 days. Everything in between has been “created”by man. A day is made up of 24 hours, each hour has 60 minutes, each minute has 60 seconds. Smaller unit of time were created to better navigate a quickly evolving society. Time is relative though. Think of how quickly time flies when you’re having fun as opposed to waiting to clock out of work. Simply changing your perspective can affect the way you experience time. But that’ a topic for another day. You may come to find that this is a circulatory formula; Let’s try to find how much distance the Earth covers in one day. The Earth travels at 30 kilos/sec, or 67,000 mph. (take note of the “per hour”) Now multiply that by 24 hours. You should have gotten 1,608,000 miles. Notice how each measurement has a subunit of measurement; miles, kilometers, or some other form of distance. Speed is dependent upon distance and time, while time is dependent upon speed and distance. You can’t have one without the other, because they’re all intertwined. Spending 5 minutes doing something fun vs something boring is going to feel like different amounts of time have passed, but you’ve traveled the same distance at the same speed in both scenarios. It’s your perspective that makes you feel like time is moving more quickly or slowly, when is reality, it may not be moving at all, but our perception of the world allows u to feel like it it. What time is it now? Did it feel like it took you this long to read this? Yesterday I went and saw the movie Doctor Strange with my daughter Sage. It was a very inspiring metaphysical movie. I was impressed with the reality shaping that was displayed in the movie. Although I have entered many thought responsive realities, I have never just enjoyed a grand scale reshaping of reality while in it. Sage and I made a pact to get out of body and practice this. We got home and began trying. I fell asleep but at six in the morning Sage texted that she hadn’t gotten out. I texted ok. I then laid back down and began my attempt. 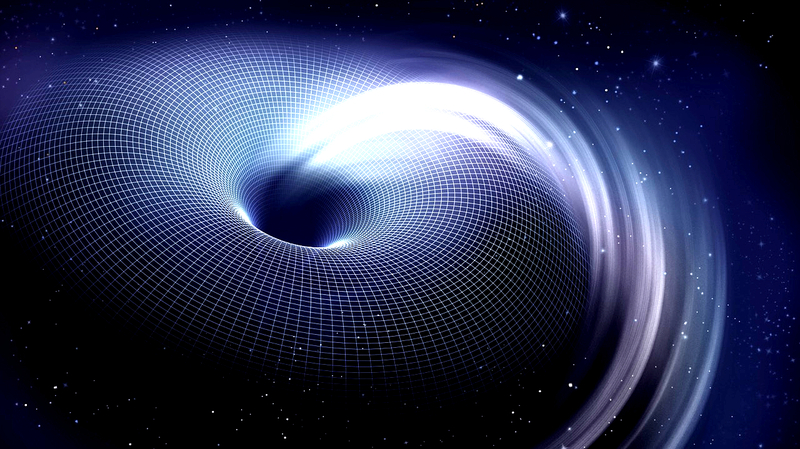 As I began to Let Go, I began to see Visions as I passed through the Theta Brainwave Levels. I then Felt myself in a standing position. I begin to look around and see that I am standing in my bedroom. I see someone else here too. I recognize that this person is also out of body. I sense that it is female. I ask her “You know you are out of body right?” She replied with “No, I would know if I was out of Body.” I said “Oh Yeah.. Explain this”. I waved my hand and transported us upwards into a thought responsive section of the greater reality. She begins to freak out a bit as she begins to look around. It is dark, a sound like wind howling, the sound of rustling leaves.On the ground there are hundreds of neon glowing things that look like tiles or playing cards. They look like some sort of cartoon things. Reminded me a little of the ghosts of the pacman video game. I told her watch this.. I waved my arms and and created a column the size of a building composed of these things. It was soo beautiful. After a while of me having a blast creating all sorts of things I realized the girl was still in shock. I said follow me, and an old house appears in the darkness. We explore the house for a bit and then she runs outside and jumps on a mattress and starts crying that she needs to wake up now. I say ok and wave my hand and transport us back to our room. She is relieved and then disappears. I phase back into my body and get up and text Sage that I was successful. ** I personally can attest to the Validity of the events that re portrayed in the Movie Dr. Strange. I am also one on the Mystical Path. ** The female that I brought with me turned out to be V. When I started telling her about the experience.. she exclaimed “That was you!”. I asked what do you mean and she said that she had a dream and there was with a guy who she felt was familiar but couldn’t see his face. That she explored an old Victorian House where she felt her grandmother was there. ** Also, I left my house to by some breakfast and apparently, there was a windstorm that blew hundreds of leaves into my yard that were not there the night before. 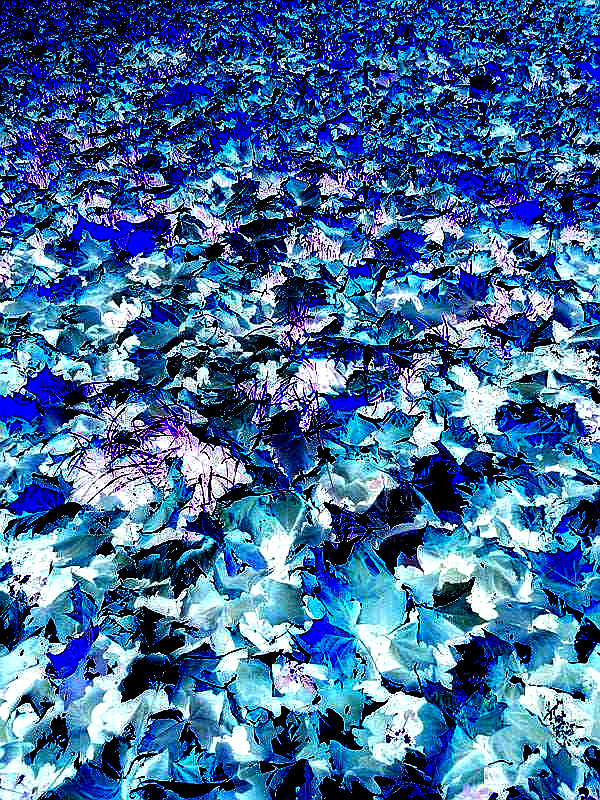 Were these the hundreds of neon glowing things, the leaves but viewed from a higher dimension. Let’s clear up some common misconceptions about Ouija boards right now: It is not the board itself that poses any danger, but what you are using the board for, which, for most of you, is communication with the dead; the Ouija board allows for spirits and other worldy entities to enter our realm of existence, and sometimes these entities are bad. This is another myth, for the board itself does not attract entities, it is your intentions that will release an evil spirit or poltergeist. Ouija boards are most commonly used by novice mediums, or simply people trying to dabble in spirit communication, but this can pose problems for the session, as the absence of an experienced medium or psychic can result in a dangerous air of ignorance as to whom you are speaking with. Mediums and psychics, as you probably knew already, communicate to the deceased through openings in their dimension, or openings between the fabrics of our reality and theirs. When they enter this alternate reality, they have the ability to see the spirits and entities near the opening between these realities, and can therefore close it before anything harmful can pass through. This is not limited to only Ouija boards, either. For almost every form of spirit communication, a medium or psychic’s presence is needed to make the environment safe, whether it be during a seance, while using a spirit box, and, of course, the Ouija board. Many users of the Ouija board don’t consider this aspect of the experience, making it much more likely that an evil entity will take advantage of this opening and pass through to our realm of existence, and either stick to the person who was using the board at the time, or just linger. There is no “real” scientific research on the legitimacy of Ouija boards, for they fall into a scientific category that does not deal with the physical world, called pseudoscience. I won’t delve too deeply into that in this article, but overall pseudoscience observes circumstances in which the laws of science don’t apply. 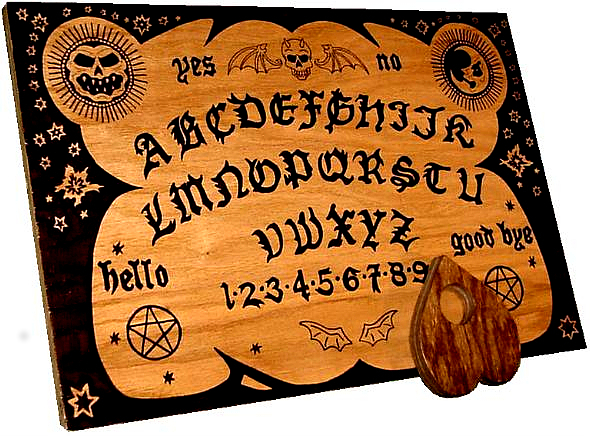 Ouija boards are also seen as evil by many religious groups, such as Christianity and Juduaism. Although the board can be dangerous, there are plenty of people who will tell you that they are evil because you seek divination from them, or advice from the spirits. Divination is considered a sin, and therefore it is evil; that is not why they pose a threat to your safety though. 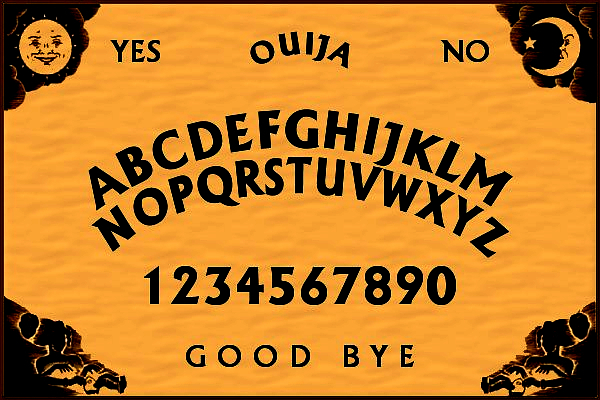 In fact, if we do a quick 180, the Ouija board “phenomena” could be explained through the ideomotor response. The premise behind the ideomotor response is that your conscious mind is much more aware than your conscious mind, which means you know more than you think you know, and when you ask the board a question, it’s not the planchette moving, but rather your subconscious mind answering your question for you. Ideomotor response is a concept in hypnosis and psychology, and is also used to explain automatic writing, dowsing, and facilitated communication. This falls under the concept of hypnosis because when you ask a question, your conscious mind doesn’t trust itself enough in it’s knowledge on the subject to answer, and your subconscious mind allows you to move your hand to spell or write out the answer, without your conscious knowledge of it happening, so you think the planchette is moving of it’s own accord, or in this case, the spirit or entity’s accord. When it really boils down to it, there isn’t enough scientific data to back up any one theory behind how a Ouija board works, it just depends on which belief appeals to you, or makes the most sense. For some people, looking at it from a religious point of view makes more sense to them, and to others, relying on scientific research is more appealing and trustworthy. As a sort of umbrella term, reptilian conspiracies can branch into some pretty crazy sub-conspiracies, but some of them are backed by evidence and science, while others sound like they came right out of a sci-fi movie. In fact, as of 2013, at least 12 million Americans believe that our politics are being monitored and controlled by celestial, reptilian beings. And if that didn’t sound crazy enough, it gets better: some of those people will think that these beings have been here since the dawn of time, while others will say that they’ve been visiting us periodically since Egyptian society had been established, and others will try to tell you that they came during the crash in Roswell. 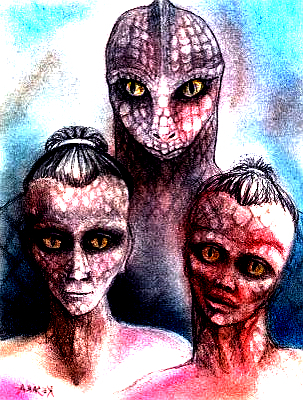 Despite how they got here to begin with, they have been here for decades, maybe even centuries or millenia, but as reptilians, they also have a mortal life. This means that they have been reproducing somehow, and here’s where things take another turn towards crazy. These beings have supposedly been altering the human DNA to make it compatible with their own, and in turn have created or produced cross-breeds between humans and reptilians, which could have been gods or demi-gods during ancient Babylonian/Mesopotamian time. 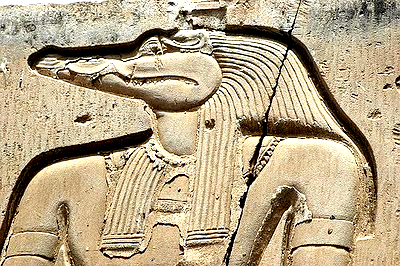 Because of this cross-breeding, 2 classes of reptilian were born, full bloods and the cross-breeds. These 2 classes are different in more than just one way, from the way they disguise themselves to their own self-consciousness. While a full blood will know that they are a reptile, a hybrid or cross-breed won’t necessarily. Full bloods allegedly use vibrations that alter the human perception of them, making them appear as normal humans without any physical change, whereas a hybrid will typically think it is a regular human, but will be under the control of the lower fourth dimension (which we’ll come back to in a minute) to push forward whatever their agenda may be. Amongst these 2 classes, are also different “species” if you will, with different levels of authority in an established hierarchy. If you’ve ever heard of Rh negative blood types, then you are in for a roller coaster of emotions. Just stick with me, this might get a little tricky to follow, but having Rh negative blood is extremely rare, with only about 15% of the the United States population being born with it, and 6-7% in the world (approximately 500 million people). It also means that you don’t have the Rhesus monkey protein in your blood cells, unlike the Rh+ factor. This is a rather big deal, for if an Rh+ woman were to conceive a child, that child would run a 50% chance of being Rh-, which would result in the mothers Rh- fighting anti-bodies basically attacking the fetus. A mother’s body attacking it’s own offspring is unheard of in any other animals, for it usually happens when the baby is not viable, or compatible with the mother. The only other documented cases of this rare occurrence have taken place between horse and donkey, when the mule fetus is not viable. Otherwise, an animal is able to reproduce with any other creature of its own species, so why does this happen? Let me tell you why: when an animal mates with another animal that is not of it’s own species, the offspring will either never form to begin with, or die in the womb. The origin of the Rh negative factor in human blood is still unknown, and, again, has only occurred during the cross-breeding between a donkey and a horse, resulting in a sterile Rh- mule. Now that we have that foundation lain down, the Rh- factor is currently only documented during cross-breeding. If the reptilian overlords (for lack of a better word) had altered the human DNA to make cross-breeding for the sake of reproduction and inadvertently had left a trace of this Rh- factor behind, we could trace their existence as far back as it could scientifically go. After all, only creatures of similar genetic makeup can reproduce successfully, so where does this incompatible blood line come from? 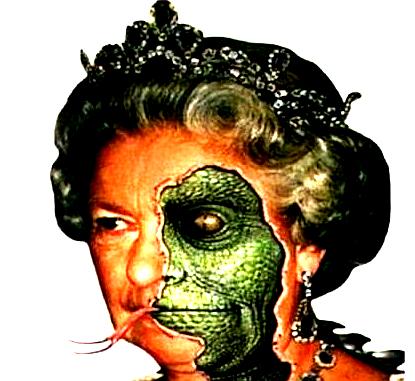 What if the reptilians are still here as we speak, and they have been here for generations, through royal families, political parties, governmental experimentations, and who knows what else they could have reign over? And blood is supposedly very important to these beings, from consuming it, to keeping their bloodlines pure, this red liquid influences their every day life in one way or another. Keeping this Rh- factor in mind, imagine if they did come here during early 4800 B.C, and started the early civilizations of Babylon and Egypt, and they were seen as demi-gods, therefor having good reason to only mate within their own family tree, keeping the bloodlines pure. “The leader of the Earth’s Illuminati is called the “Pindar”. The Pindar is a member of one of the 13 ruling Illuminati families, and is always male. The title, Pindar, is an abbreviated term for “Pinnacle of the Draco”. I’m sure all of you are familiar with Prince Charles, right? Well, there have been a few situations with him and the rest of his family that have nearly revealed their identities, one of the allegations from Princess Diana herself. She says they are “literally not human” and “reptiles” She had grown to believe that the British monarchy was her enemy, not her friend. The M16 and M17 members, along with members of parliament and military offices swear an oath to the monarch, not the United Kingdom. In fact, this allegation came to the light once again when Princess Diana was assasinated. Mohamed Al-Fayed, the father of Diana’s lover, Dodi Al-Fayed, brought up the fact that Prince Charles could have placed a price on her head for her attempts to expose him and his family. Here are just a few videos of reptilian powers, if you’re still skeptical. Posted in Science and Metaphysics by Louis Ruiz with no comments yet. In my opinion, the whole idea of government cloning has already been proven, with Donald Marshall at the very center of it all. Marshall came out in 2011 on Facebook as a clone, explaining how he found himself in a so-called “cloning station” run by Queen Elizabeth. According to Marshall, his family was already living in the cloning center, but to the best of my knowledge he’s never mentioned why. Though his story’s details change ever so slightly every time he tells it, his discussion on the topic is extremely extensive, and the base story has remained the same; While he was at the cloning center, he discovered that the whole thing was run by what we today call the Illuminati, and that the cloning itself didn’t start until after World War 2, when political figures began to bring movie stars and celebrities to the cloning facilities, where they chose who remembered it and who didn’t. The clones are allegedly being used for several things, such as entertainment (gladiator style, sexual perversions, and Illuminati rituals) and medical reasons, say if the original needed a new kidney transplant, they would harvest one of the clones kidneys. Now, I’m sure you don’t need me to tell you about Donald Marshall, because if you’re here reading this right now, there’s a pretty good chance you already know who he is, because I swear everyone who talks about celebrity cloning always attributes something to him. 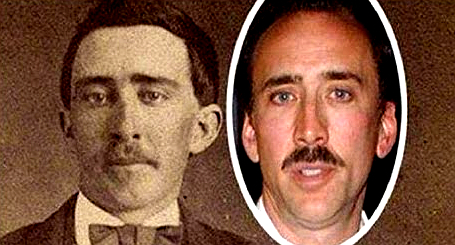 But just because it started with him, doesn’t mean he is the only form of proof as to whether or not the government is really cloning celebrities. There are several commonly discussed celebrities when it comes to celebrity cloning, such as Eminem, Avril Lavigne, and Britney Spears. Now, before I continue, just keep in mind that these clones supposedly diminish the “original copy’s” mental capacity, making them more compliant and/or obedient, and on top of that, the clone itself is meant to be more obedient than the original, so all you would have to do would kill the original and control the clone, making them your personal slave, in theory. The proof is all around us, we just need to look. In 2005, Eminem got into a really bad car crash, it was a miracle that he survived. After his brush with death, he submitted himself into rehab for 4 years, then came out a whole different person. Can you see where I’m going with this? Eminem was a very strongly opinionated man who stood by his beliefs no matter what, so what could have happened to him in rehab that turned him into a whole new person? 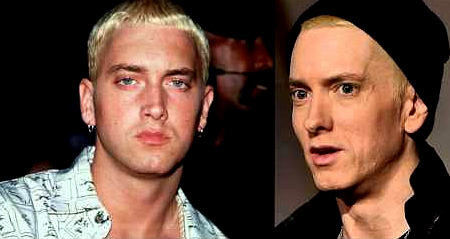 Depending on who you ask, Eminem died either in the crash or during his stay in “rehab”, but either way, he was murdered before his return to the public eye. There have also been videos of these clones “glitching” or malfunctioning somehow, uploaded to Youtube and several other forms of social media, showing them either rocking back and forth for 10 minutes or completely shutting down. I mean, just in Google alone the search “clone malfunctions” brought up 126,000 results, the first 5 being videos. Like I said earlier, I think the proof is all around us, it’s just a matter of delving a little bit deeper. Posted in Science and Metaphysics by Louis Ruiz with 2 comments. 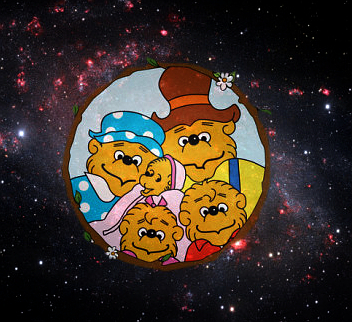 I’m sure you remember seeing people argue over whether it was spelt Berenstein or Berenstain, and many people remember specifically one way or the other, but what if I told you that this tiny disagreement could be tied back to a huge conspiracy theory called the Mandela Effect? I’ll admit, I wasn’t much of a believer at first either. I’ve never been involved too deeply with any conspiracy effects other than just to learn about them. When my dad first told me about the Mandela Effect, I felt the same way about it as any other conspiracy, and to humor him I would watch videos and read articles about it, so that I could stay up to date with him, but then I saw something that really looked wrong; Febreeze, was no longer Febreeze. It read Febreze. Now I know a lot of you might be shaking your head in disbelief, but I checked, double-checked, even triple-checked the Febreeze website for any trace of the name change, or maybe an old bottle that still read Febreeze, I even had my friend send me a a picture of her own Febreeze bottle, but it was right in front of my eyes. It had never been Febreeze apparently, it had always been Febreze. Now, I could say this led me into a spiral of madness, but it was almost like learning a new thing in school. I didn’t question it any further, I didn’t see it as a fallacy, I simply did more research into it, and the more research I did, the more it makes sense. My grandfather is Cuban, and when Fidel Castro died, he called me on the phone and cried, because now we could see each other whenever we wanted. But he never died, he’s alive and well, and still governing the country of Cuba. He died in 2009, to the best of my recollection, but everywhere else I’ve looked claims that he is still living. I’ve even read articles about his brother Rafael taking over, but no longer in 2009 but in 2017. Another one that really got to me, was Muhammed Ali’s death. I may not remember it nearly as vividly as Castro’s, just because that one really hit home for me, but I still remember it being a big deal. Even on my Facebook timeline I was hearing about nothing but Ali’s death. I remember watching videos and documentaries about his life, and this is the same year that Castro died, 2009. But now, no matter where you look, he died June 3rd, 2016. This year. But not even a peep about it. Why did nobody care about his death this time around? Why was it so hushed? I accidentally found out about Ali while I was looking for an article about famous dead celebrities. Granted, I expected to see him on that list, but not so recently. a portal into another dimension, and somewhere along the way, the 2 different timelines from each dimension got crossed, and that’s why some people remember things one way versus the other. People started noticing things “changing”, right around 1980’s, when Mandela died in prison. As you might have already noticed, Mandela didn’t die in prison. In this timeline. In another timeline, Mandela did die in prison, but when our timelines crossed paths, certain things passed through, including some truths, such as Castro’s and Ali’s deaths happening later than they really did. There are some smaller, less noticeable changes, like “Magic Mirror on the wall, whose the fairest of them all?” Don’t remember it that way? You’re not alone, I have yet to see someone who remembers it that way, but that’s what it says in the movie. A friend and I watched her old VHS tape of Snow White and the Seven Dwarves, and even then it still said “Magic Mirror”. Or from Star Wars, “No, I am your father”, when even the actor who played Darth Vader himself even remembered it as “Luke, I am your father” Which, from a psychological standpoint, would make more sense, because as a parent trying to reinforce an idea into their child’s head, they would state their name before stating the message they are trying to share. And I don’t know about you guys, but I’ve seen people with shirts that say “Luke, I am your father”, or postcards, and even one year my friend had a Star Wars themed cake that said Luke, not No. But, again, that’s just me. There is no wrong way to remember an effect,either. Say you remember it from before the timeline collision, and you now remember a “wrong” thing in this timeline. You aren’t wrong, you just remember it from a previous timeline. Hopefully, if you were intrigued by the idea of colliding timelines, you’ll go on to do more research. Posted in Science and Metaphysics by Sage Ruiz with 6 comments. An extremely interesting thing happened to me on this latest OBE. So as I laid down to go Out of Body, I decided to just phase out and do some energy work. Things did not go as planned. The moment I went Out of Phase with my body, I was trapped, sequestered by some interdimensional beings. There were no words or thought languages as we know it. Just a Knowing, a direct Consciousness to Consciousness communication. This must have been a area of The Greater Reality near but not completely in the Non Time Space. I say this because there were no things that were three dimensional. I was surrounded by what can only be described as an audience of pure consciousnesses. In my awareness, they forced a problem and TOLD me to solve it. Yielding to there Authority, I began to solve this puzzle. I can not accurately describe in words what this puzzle was. It was mathematical in nature and required a desired output. I kept rearranging the pieces but my output was apparently wrong because they kept Telling me to TRY AGAIN. Mind you still in this Direct Consciousness to Consciousness communication. 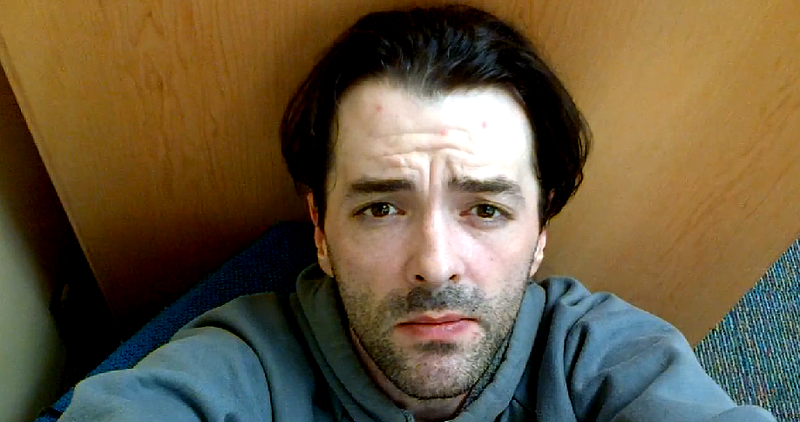 Not wanting to continue to participate in this Experiment, I retreated to my physical body. I got up , looked around and was thankful it was over. I closed my eyes and phased out of my physical. The second I did, they trapped me again. TRY AGAIN they said. Not seeing a way out I decided to get this over with. I spent the next few hours arranging and rearranging the puzzle until I finally solved it. As soon as I solved it and they got the result they were looking for, they discarded me to my body. As I laid there in the crystal clear solitude of my thoughts. It dawned on me. I just had an Intelligence Aptitude Test performed on me by Multidimensional Beings. 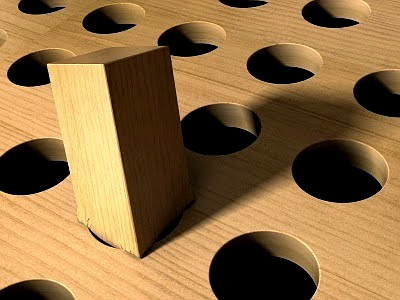 Kinda like when our scientist put a chimpanzee through the round hole and square peg problem solving test. Are they superior beings researching our capabilities? There seemed to be no emotion emanating from them at all. Posted in Adventures, Science and Metaphysics by Louis Ruiz with 5 comments.